After increased worth of professional photographers, they are all over the place with their conditions and prices. E-commerce business can come across major clinches of making or breaking the sales if the product images are not satisfactory. Of course, for best product images, it is recommended to seek professional help and this is what we will discuss today. The influence of a brand is significant in these days. If you are searching for a quality photographer who has done some amazing job commercially then you know it best that it won’t be wallet friendly. But again, if you are spending a considerable amount of money then it is best to invest in someone who is worth the shot. The professionals carry their portfolio along with when they visit to crack a deal. It is recommended to associate with someone who has an impressive portfolio and understand the work well. As the first tip, I would like to ask you to refer the portfolio of the professional. 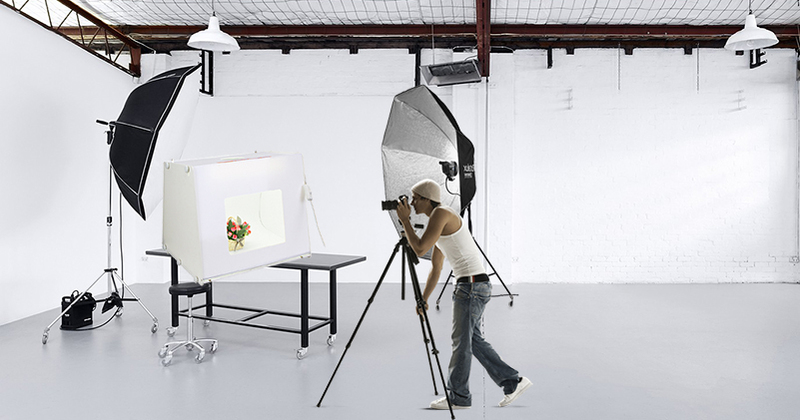 It is easy to go online and search for professional photographers online. But at the same time, finding a reliable one who knows the trends of the market and brings ideas to your business is not only crucial but also extremely competitive to find. We suggest you shortlist few amazing professionals and do some basic digging about them. If you have already set up an interview or a meeting, it will be best to call and ask their previous clients about the work done by the professional. This will help you in making a safer decision. The market for all the professionals is changing rapidly. What you need to check is that the professional that you are selecting has great knowledge of the changing trends of the market. It is essential for the photographers as well to keep their knowledge updated so that their value remains intact. Not only that they have to click pictures but also propose best of the ideas about different things. They have to give you amazing shots for your e-commerce website, with perfect edits as well as provide images for your blogs and Pinterest and Instagram accounts. Always remember, all these accounts have different image requirements and thus the photographer must be aware of these needs and work accordingly. It will be a long term association so for seamless working, it’s best to lock the deal at an easy price. The professionals will come up with different kinds of rates and you need to be very wise in picking the right deal for you. I have an additional tip for you guys, people fear relating with newcomers in the professional world. But it is not necessary that a photographer with years of experience who charges in bulk will be the best choice. It is essential to start having faith in the upcoming talent and give them a chance to prove themselves.